You are correct that is not a padded. It may be plastic. I have it in a box somwhere right now. Those are pretty rare on this side of the pond. 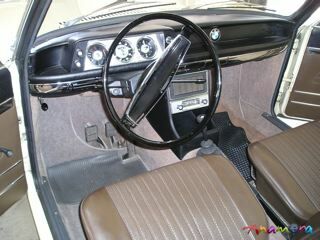 The European cars had that dash through 1971 and the US cars only had it in `66/67, or so I've been told. 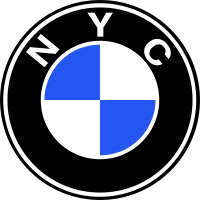 The upside is that you can now buy them new from BMW. The downside it that they're about $73/ea. Email BLUNT for new ones (steve@blunttech.com). that's good to know - I've been collecting info on companies that chrome plastic but if I can just buy off the shelf new then it's a no brainer. I'll have to check the price this side of the pond. From what I understand, rechroming plastic makes already brittle plastic parts even more brittle. If it's possible to buy new, we're probably better off, even at that cost. I have been working at a steady pace to get some things done. I have rebuilt the headlight buckets, and my own stupidity putting them back together!!! They turned out quite well. They were literally rusted up bad!!! I also rebuilt my mechanical fuel pump with the help of some VW parts. The rebuild on the pump was very easy and straight forward. I bought the rebuild kit through Wolfgang Intl. I kept many of the original parts just cause I thought that they are better manufactured. I also got all of my bolts and nuts back from CAD plating. They look great. For a small amount all of your beat up rusted hardware gets renewed. I am going to be tackling the pedal box next. I have all the pieces painted and I have the rebuild kit. I have also been working on rehabbing the air intake. I'm waiting for the paint to dry so I can put it all back together. I'm borderline OCD now putting all this rebuilt stuff away. More progress to done in the next couple of weeks. BMW 1600 on a shelf!!! I have been working a lot right now getting little parts of the car refurbished. I just rebuilt the pedal box. Something so simple as that should not have taken me the amount of time that it did!!! I wanted to do it right, and got the whole box dipped and painted, and greased every movable part. It was my first pedal box rebuild. The car does not have a hydraulic clutch so it's different from a 2002. I also rebuilt the rear tail lights. Covered in overspray and undercoating I disassembled them and refinished them. I bought some new lenses and bezels. They turned out great. My grills got a nice paint job from the PO. I learned the hard way cleaning off paint on my last 2002 and I broke one of the slats. I paid the $10 to have them soda blasted. Now I am going to get them bright dipped anodized. I'm working with Chicago Anodizing for that. As for the Edda, the welding started on her last weekend. Pics to come when I have them. nice progress, Nate! come join the newly formed Chicago 02 group, we're trying to pool resources and knowledge, and make friends in an area not previously known for an active 02 community. Nice to hear from you!!! Is there going to be a section on the FAQ for the Chicago region??? So whatever happened with this project? Was it ever finished?